From HVL Main Gate, L on Alpine past Willies, R on Knollwood, property on R, Sign on. 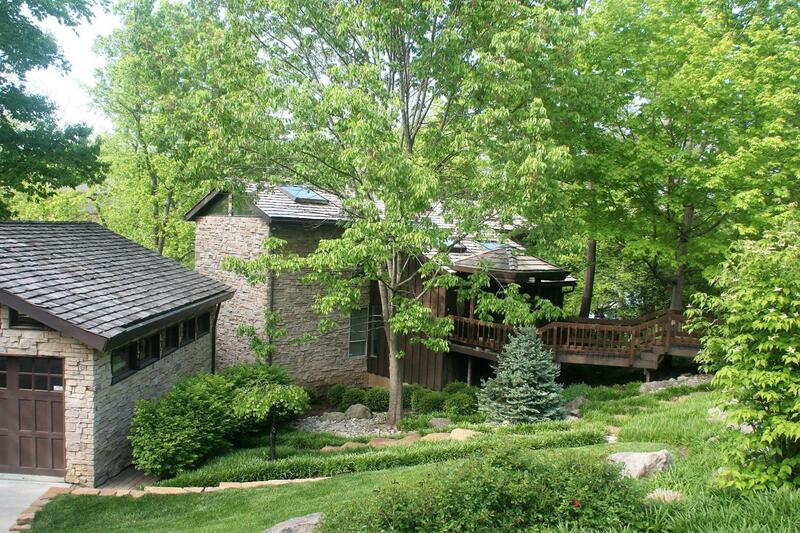 Fabulous stone contemporary w/lake access! Nestled in trees on a triple lot, w/potential to rent POA dock @ base of greenbelt. Upgrades everywhere - Mexican tile, maple flrs, 2 sided FP, unique BAs & more! Wonderful sunroom plus FR w/charming wet bar. OS 2 car det. garage w/basement workshop. 1yr old cedar shake roof. New custom Viking gas stove!